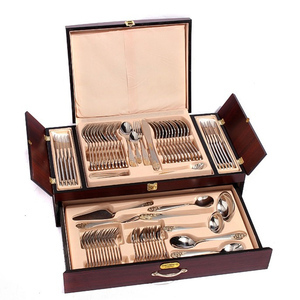 Product Specification Product Name: 72pcs cutlery set with gold Item No. 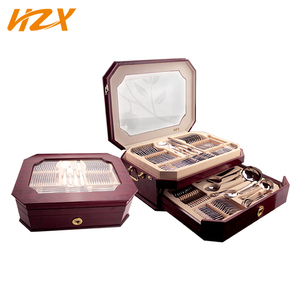 (3) MOQ: 1000sests (4) Production time: 30days after received deposit. (6) More information, please contact with us! East Top creat es a strong international sales team, provide s professional oversea sales service to customer s. Our Purpose is to offer safety, health and fashion houseware s to customers. W e try to get better and better, then provide our best service to c lients. 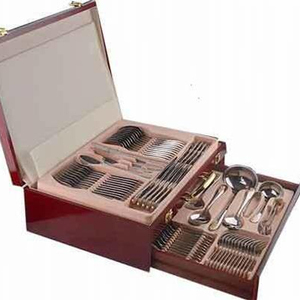 High grade Restaurant 86pcs stainless steel flatware set for 12 Person. 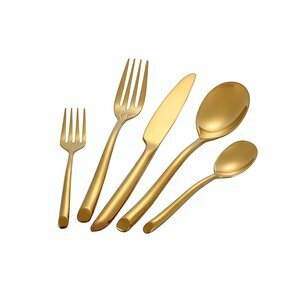 Gold plated cutlery, gold cutlery set, gold plated flatware wholesale. Quality is the soul of our More Other Products Welcome click this picture to know more cookware. Jieyang Wan Ye Da Stainless Steel Industry Co., Ltd.
We warming welcome your small trial order for quality or market test. 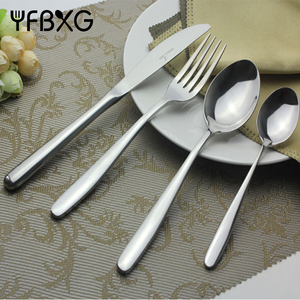 2)SAMPLE: We can send you the cutlery free charge and freight collect. 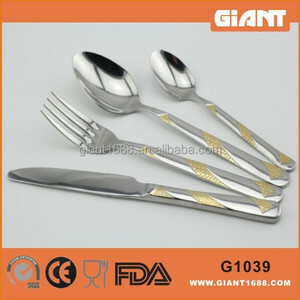 But w e can accept your small trial order to test your target flatware market. 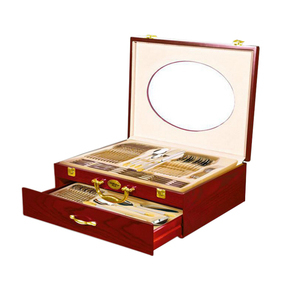 Q: Can I inspect my goods9 A: Surely, you can inspect by visit factory by person,or ask third party to inspection,or by picture inspection. Q: Can I get sample9 A: Yes, you can order sample from us. Contact Information Any question could feel free to contact with us or send inquiry to us. 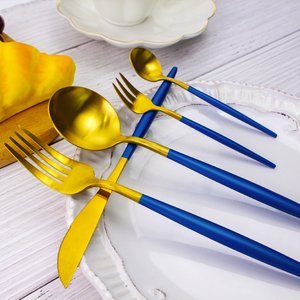 wholesale plastic cutlery manufacturer, cutlery set 72 available Our disposable cutlery is made of food grade PP/PS. so no need to worry about the strenghth even you use them to cut fruit or steak. 3. How many days to make samples with my printing9 Normally 5- 7 days, but we could do all we can to speed up. 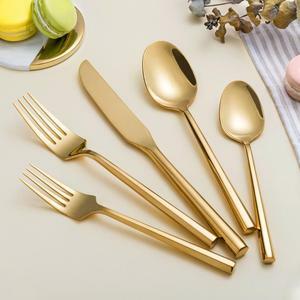 Shandong Yunquan International Trade Co., Ltd.
Guangdong Osdon Industrial Co., Ltd.
Fuzhou Xianxu Trading Co., Ltd.
Alibaba.com offers 1,339 cutlery set 72 products. About 78% of these are flatware sets, 13% are dinnerware sets, and 1% are utensils. 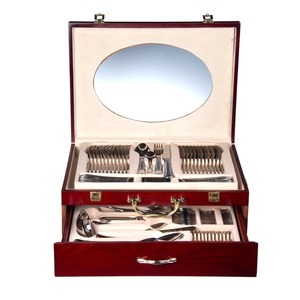 A wide variety of cutlery set 72 options are available to you, such as ce / eu, ciq, and sgs. You can also choose from eco-friendly, stocked, and disposable. As well as from metal, bamboo. And whether cutlery set 72 is free samples, or paid samples. 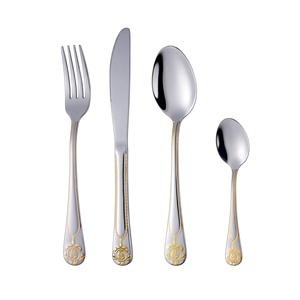 There are 1,345 cutlery set 72 suppliers, mainly located in Asia. The top supplying countries are China (Mainland), India, and Lebanon, which supply 96%, 2%, and 1% of cutlery set 72 respectively. 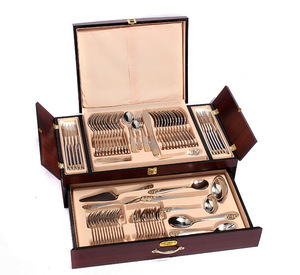 Cutlery set 72 products are most popular in North America, Western Europe, and Mid East. You can ensure product safety by selecting from certified suppliers, including 272 with ISO9001, 108 with ISO14001, and 58 with Other certification.